Pediatric Urology has established itself as a separate subspeciality and is an essential component of the Intercollegiate exams both in Pediatric Surgery (FRCS Paeds) and Adult Urology (FRCS Urol) and the Board exams in the USA. Exposure to Pediatric Urology training is often limited to only one year in most Pediatric surgical training programmes; and is practically non-existent in Adult urology training programmes. There are several Pediatric Urology textbooks providing factual information and literature reviews; however, problem based learning has be shown to be much more useful than the search and scan approach. 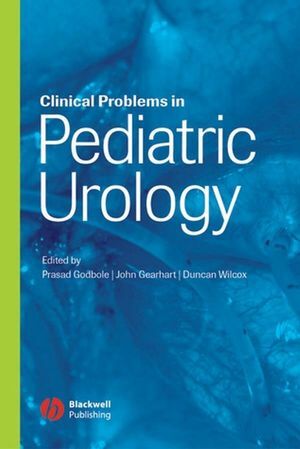 This book covers all the major topics in Pediatric Urology in a "problem solving" format and using numerous illustrations. Most of the information is evidence-based and all problems are representative of those actually encountered in clinical practice. The contributing authors have key affiliations with societies such as the British Association of Paediatric Surgeons, the British Association of Paediatric Urologists and the European Association of Paediatric Urologists. Mr Prasad Godbole, Department of Paediatric Urology, Sheffield Children's Hospital. Dr Duncan Wilcox, Great Ormond Street Hospital, London. Professor John Gearhart, Professor and Director, Pediatric Urology, Brady Urological Institute, The Johns Hopkins Hospital, Baltimore, Maryland. 4 Hypospadias and Related Conditions. 6 Epispadias, Bladder and Cloacal Exstrophy. 8 Congenital Anomalies- Kidney and Ureter. 9 Congenital Anomalies- Bladder and Urethra. 12 Neuropathic Bladder and Bowel. 13 Pediatric Urinary Stone Disease. 17 Ambiguous Genetalia and Intersex Disorders. Effective problem-solving approach using typical cases!